If you like silver jewelry, pearls and elegant style you're going to love a browse through today's feature shop. CKSilver on Etsy is filled with all of these things. CKSilver offers handcrafted sterling silver jewelry that is beautiful, timeless and elegant. Each piece of jewelry is unique, and many are one of a kind. 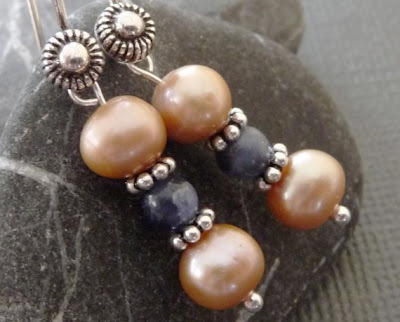 The shop is stocked and ran by a mother and daughter team of artisan jewelry designers, Cindy and Marilyn, who both love creating classic pieces of jewelry that are perfect for everything from casual wear to elegant ensembles, weddings and more. Most pieces incorporate a combination of components from sterling silver and freshwater pearls to semi-precious stones and swarovski crystals. Cindy and Marilyn are both highly creative women with terrific taste and a talent for combining together different components into unique pieces of jewelry any woman would feel beautiful in and be proud to wear. Marilyn and her daughter both have similar taste and designs but each put their own personal flair into their pieces, creating a shop that's stocked with a cohesive style and variety at the same time. 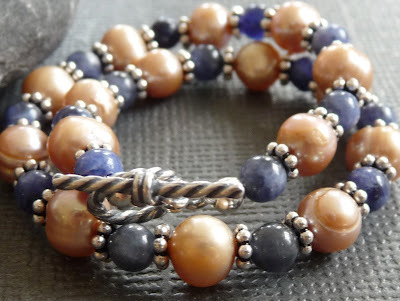 Each piece is created with experience, excellence and pride in workmanship, and they even offer custom orders (including custom requests for specific birthstones, gemstones, etc) for those shopping for a piece of jewelry that has a bit of a more personal touch and feel to it. YOU CAN CLICK ON THE PICTURES ABOVE TO VISIT CKSILVER'S SHOP ON ETSY AND TAKE A LOOK AROUND OR, IF YOU PREFER, YOU CAN CLICK RIGHT HERE. You can also stop by and visit Cindy and Marilyn on the CKSilver blog! Beautiful feature! Thank you so much for your very kind words!